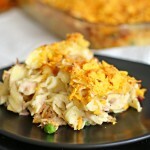 Tuna Noodle Casserole is an easy dinner idea the whole family loves. 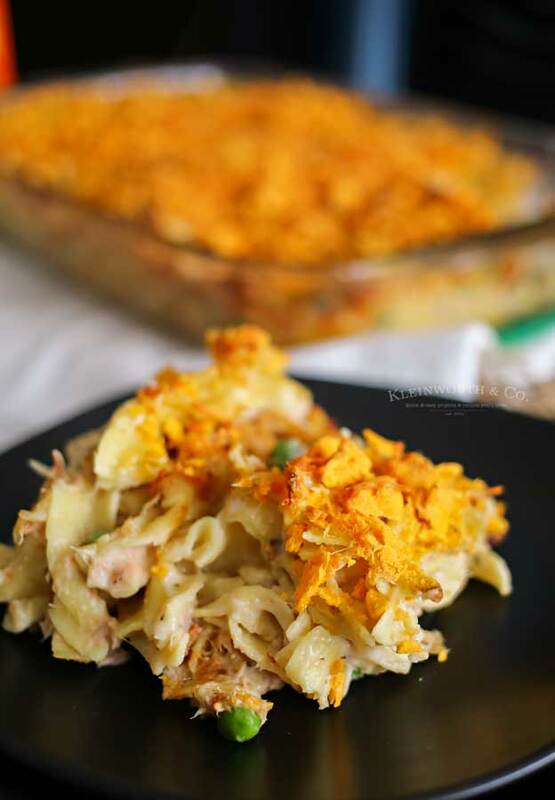 This super quick casserole recipe is great for potlucks & perfect for busy weeknights. 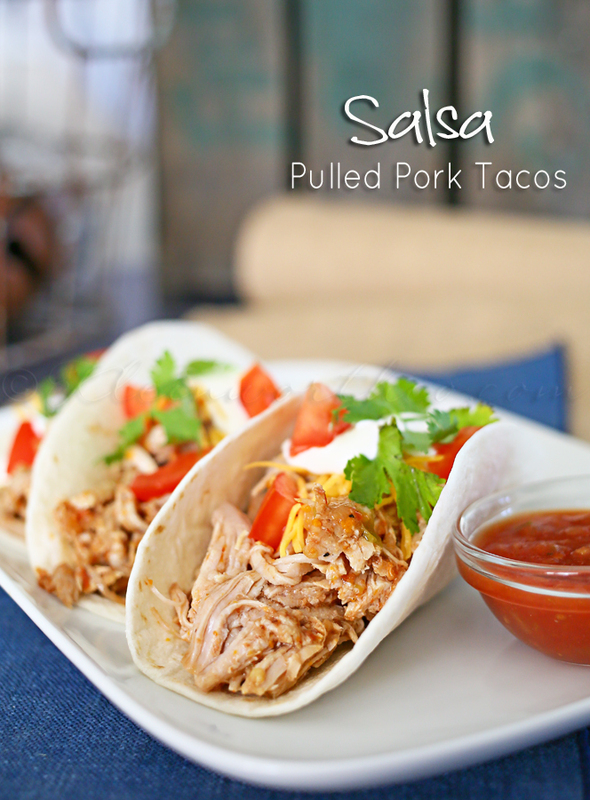 I am on a mission to mix things up & bring both my family & you all some AWESOME dinner ideas. 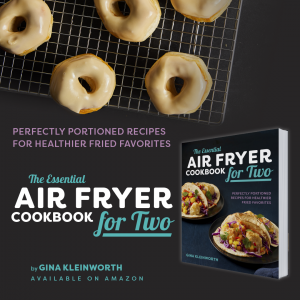 I know I’m always looking for some fresh new recipes that the family will enjoy & you probably are too. 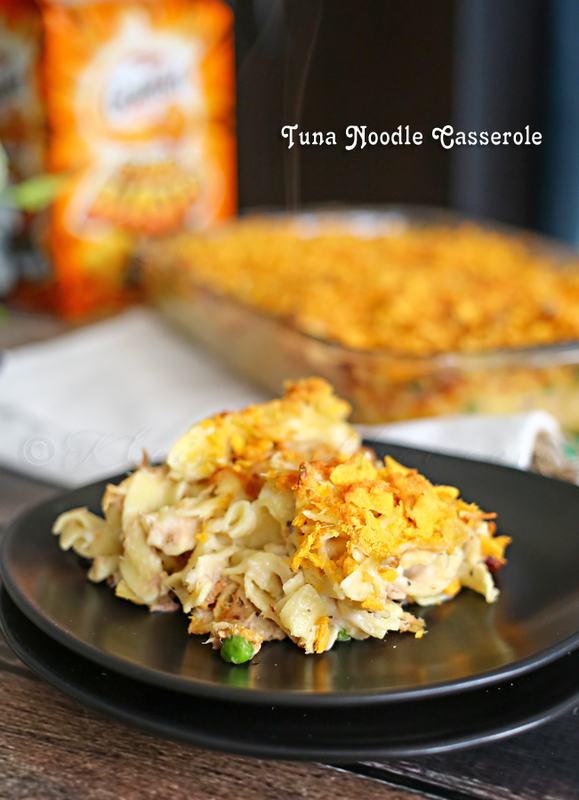 So this past weekend I whipped up this Tuna Noodle Casserole that was absolutely delicious. 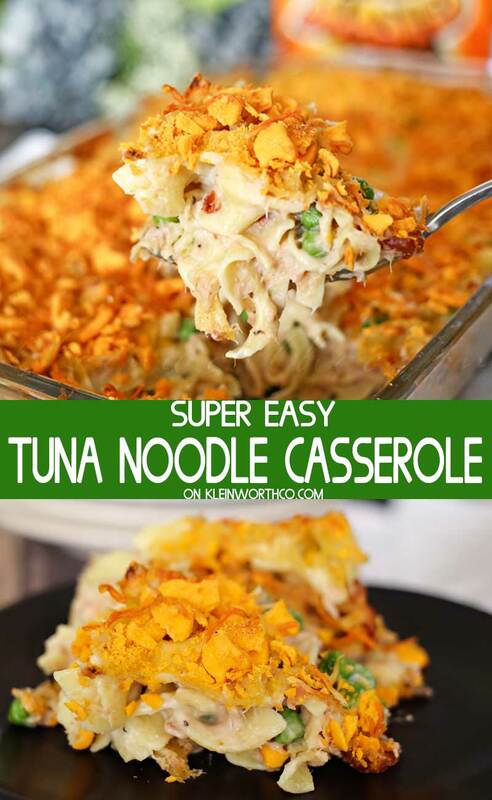 It’s not your standard Tuna Noodle Casserole though. I added some bacon & Goldfish crackers too. Oh, yea- it was incredible! I was wanting a casserole but wasn’t sure exactly what I wanted to do until I found the Goldfish crackers. I find that the easiest way to crunch up the crackers for the top of the casserole is to measure them out in a zip top bag & then give them a good pounding with the rolling pin. It’s quick & easy & very little mess. 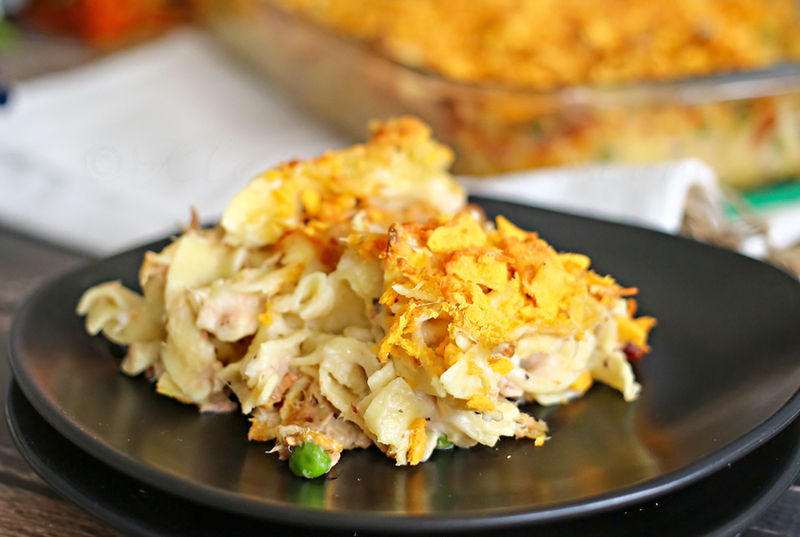 Just look at that – casserole perfection!! Can I use bacon bits instead of fresh bacon? Yes, if you are looking to cut down on time, that is a great option. 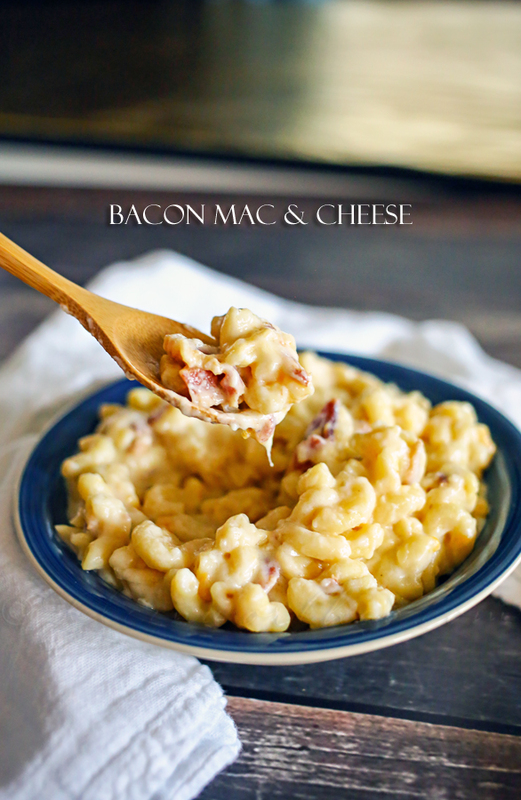 I prefer to have larger pieces of bacon in our casserole, so many times I will make the bacon ahead of time, like the morning before or even just make extra for breakfast & save it for this recipe. Can I use frozen peas instead of canned? Yes, frozen will work just fine. Just make sure they are cooked until soft prior to mixing into the casserole before baking. Spray casserole dish with cooking spray – set aside. Cook bacon until crispy – set aside to cool. Once bacon is cool- crumble & set aside. Cook noodles to package directions – drain & place back in stock pot or large bowl. Add soup, milk, 1/2 of the cheese, drained peas, bacon & seasonings to the cooked noodles. Stir to combine. Transfer to prepared casserole dish & spread to an even layer. 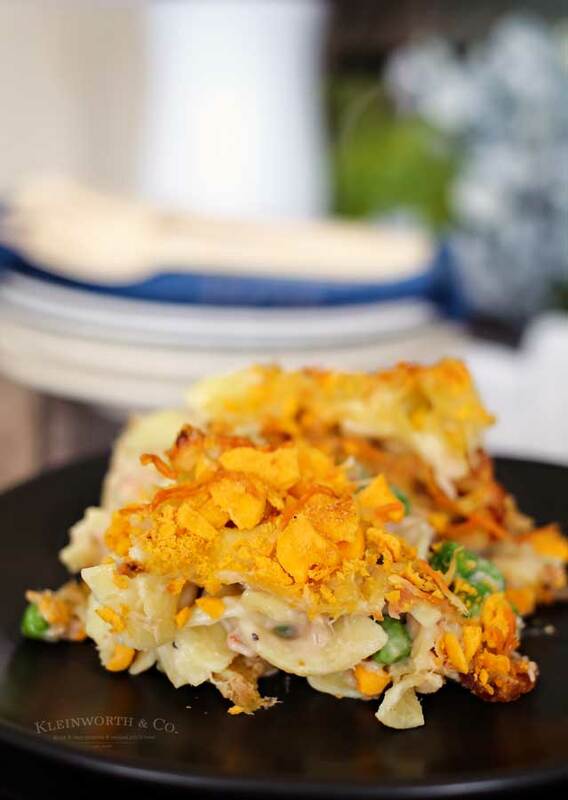 Place Goldfish crackers in a zip top bag & crunch them into crumbs – sprinkle over casserole in an even layer. Bake approx 30 minutes – or until golden brown on top & heated all the way through. 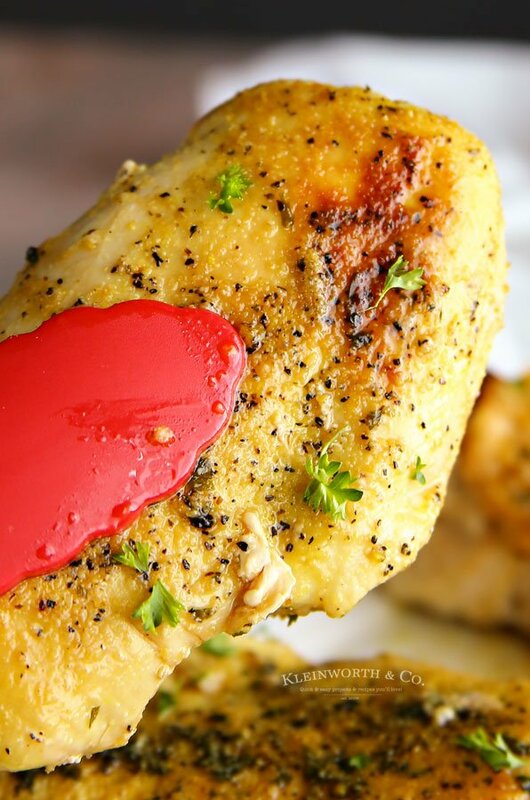 It was wonderful AND – you can double this recipe easily. 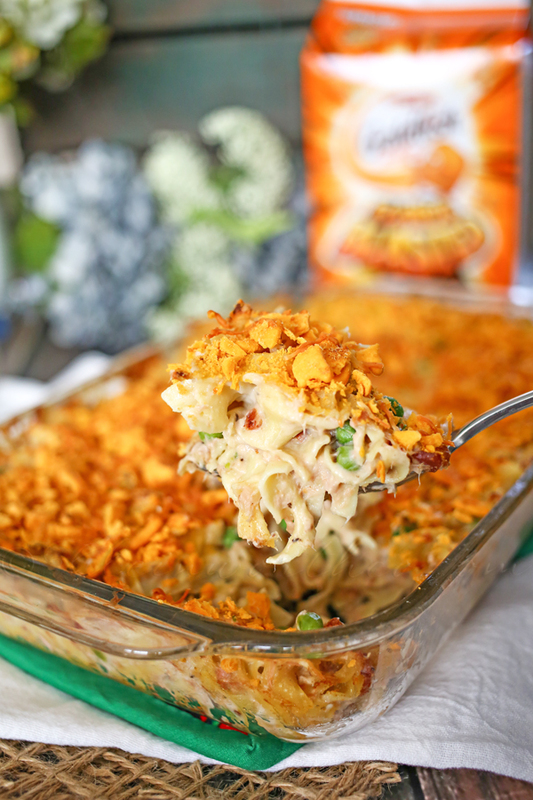 So if you wanted to pack one away in the freezer for another time or you have a potluck happening- this is a perfect recipe to make for that. Spray casserole dish with cooking spray - set aside. Cook bacon to crispy - set aside to cool. Cook noodles to package directions - drain & place back in pot or large bowl. 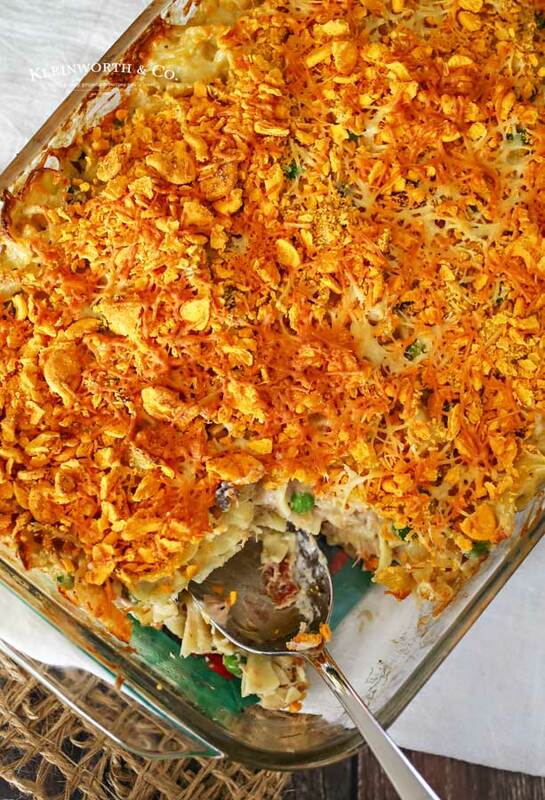 Place Goldfish crackers in a zip top bag & crunch them into crumbs - sprinkle over casserole in an even layer. Bake approx 30 minutes - or until golden brown on top & heated all the way through. 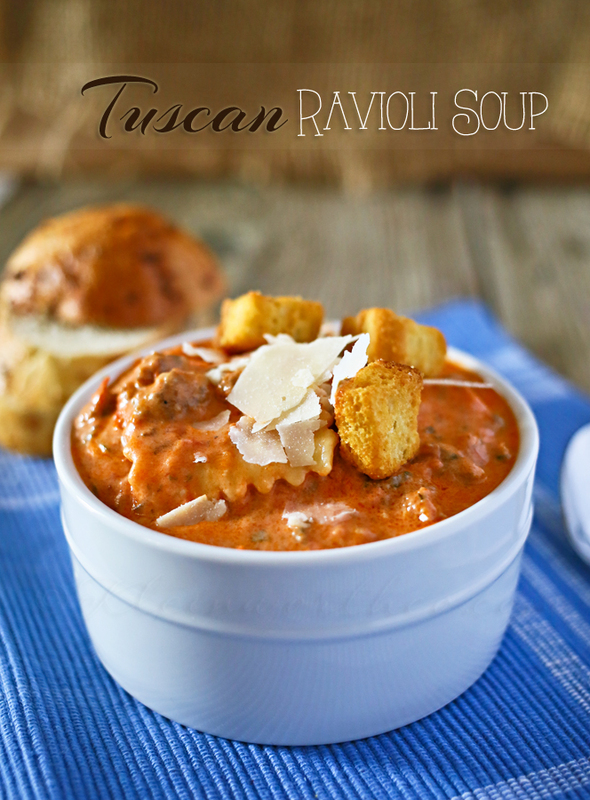 My mom never made this! I also refused to eat tuna salad as a kid. She did make tuna sauce though, pasta, with red sauce mixed with tuna – I loved that! I haven’t had this in years, but it is true childhood comfort food!